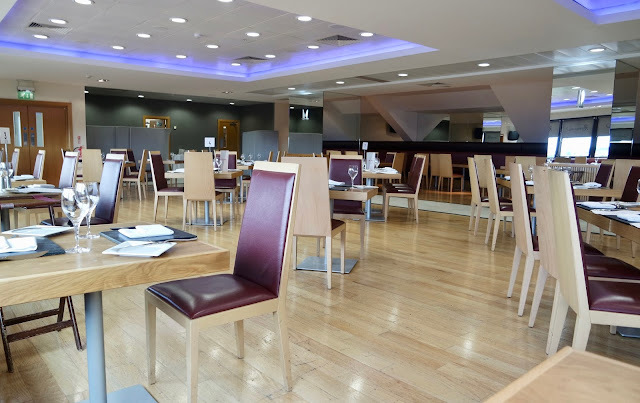 Kicking it up North for Sunday Lunch, Sunderland FC Riverview Brasserie | gingerbread smiles. This was an especially special meal as it was Sunday Lunch. 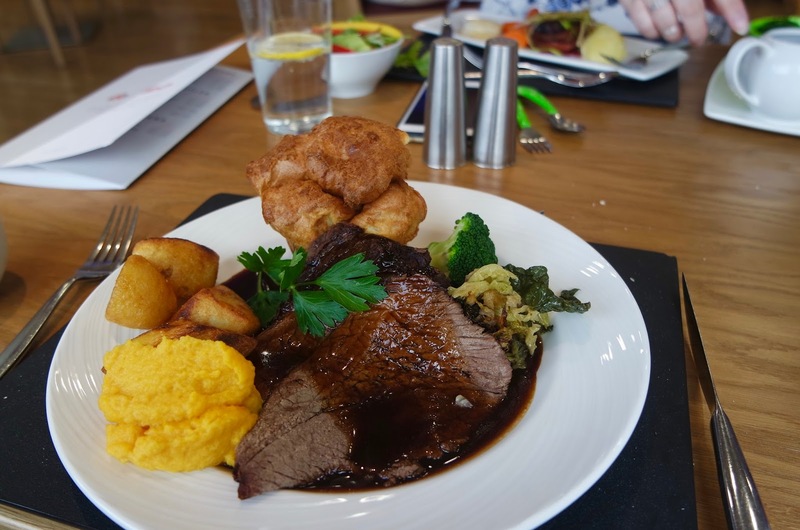 The Riverview Brasserie only a few weeks ago started serving up a delicious Sunday Lunch menu again and we were invited to try it. To really test out this iconic meal I invited my Mum and my one year old nephew. We booked our slot for 12.30pm and on arrival found that we were the first to eat. 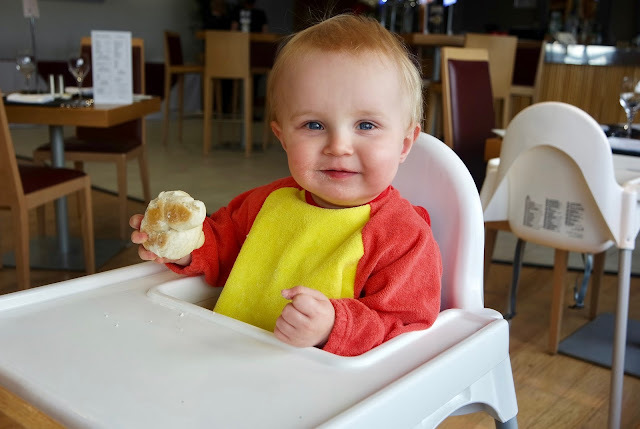 It was very quiet but it gave us a chance to get to grips with the layout, menu and for my nephew to start on his bread bun. As he happily chomped away, we started to scour the three-course menu which changes weekly. There was a good selection for each course but as I'm a picky eater there were some choices which were obvious for me. 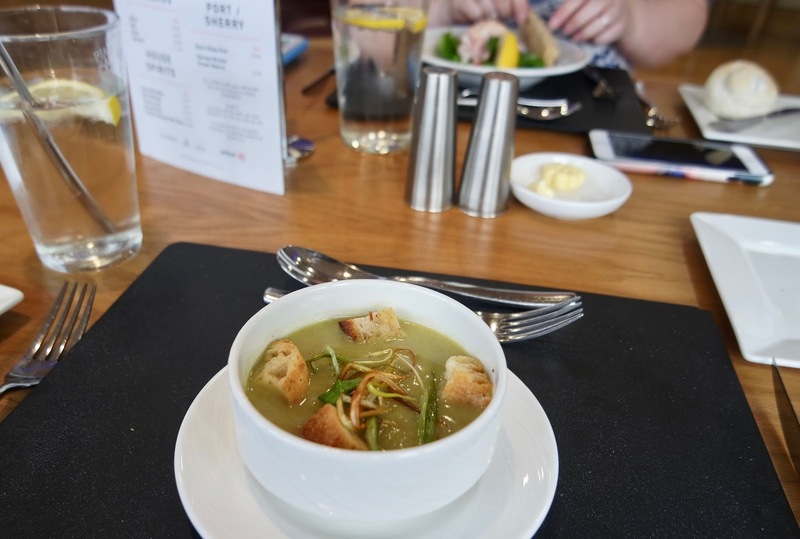 For starter I chose the leek and potato soup which can be quite a bland soup but this one was very tasty with lots of flavour. My Mum chose the prawn cocktail which looked very fancy. For my main course there was no way I was going to pick anything but a beef dinner. I mean isn't that the best roast to choose! Mum however decided she was going to try something totally different and get the emmental cheese souffle with beetroot compote, herb salad and house dressing. 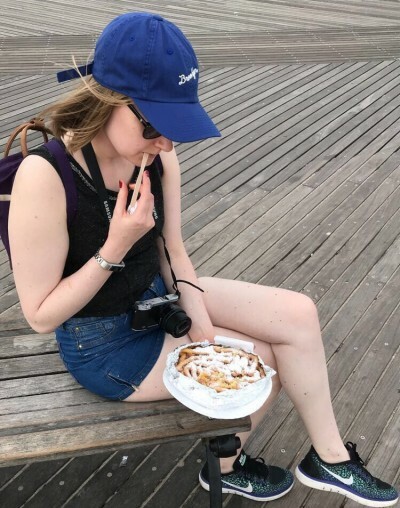 She wasn't quite sure her pick had paid off as it wasn't what she expected, nevertheless she ate it up and enjoyed it. My beef dinner was lovely. 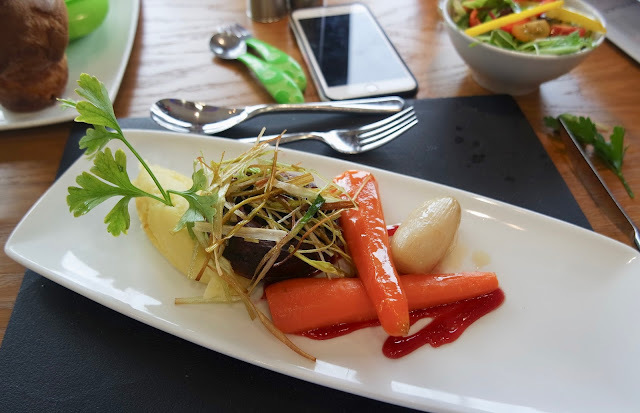 There was plenty of beef and the vegetables and roasties were served separate so you could ask for as much as you wanted, without being greedy of course! For my nephew, they even filled up a little bowl for him with mash, carrot and turnip, gravy and some other bits of vegetable which he throughly enjoyed. Although we were pretty stuffed by this point, we couldn't give a full review of the Brasserie without trying dessert. 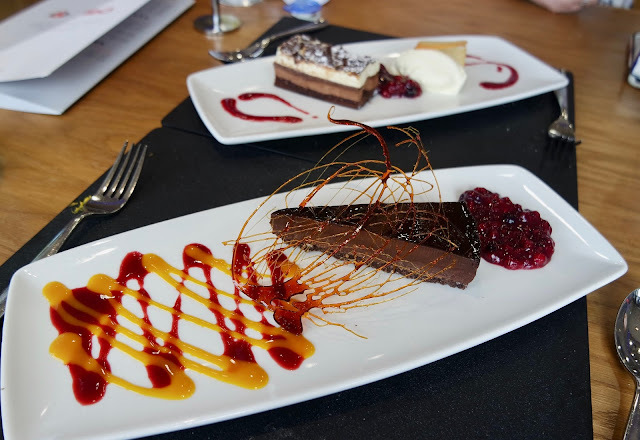 As always I had to go with the chocolatey-est item which was chocolate and orange truffle torte with forest fruit compote. This was extremely decadent and delicious. I did try, but I just wasn't able to finish the whole slab, although my nephew did give me a hand. Mum chose the black forest slice with thickened cream and coulis. Overall we were really pleased with out visit to the Riverside Brasserie. The service was impeccable and the food was delicious. If I'm ever up in Sunderland on a Sunday, this will be definitely one I'll return to. I enjoyed the roast beef at the Riverview Brasserie too. It was soooooo tender. Mmm that beef dinner looks grand - you are right, it is the best and only real choice for a Sunday roast!